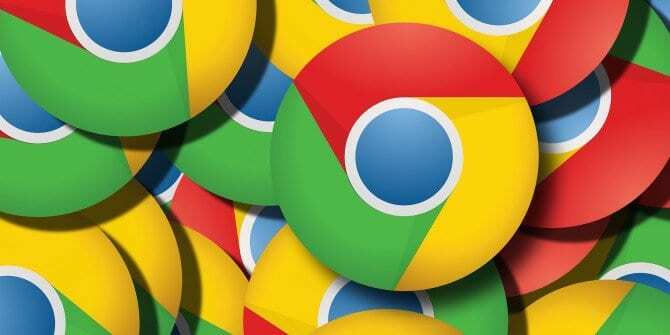 People who browse the Internet often might know about this as they would come across them while browsing. Not all, but few websites “prompts you to enable notifications” when you visit the site. 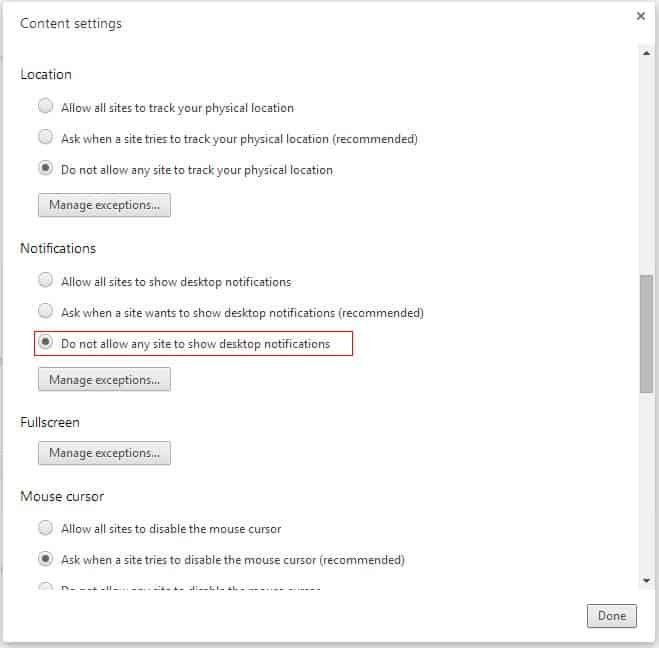 If you allow, then you will get desktop notifications from the website whenever they change or upgrade or update the site. 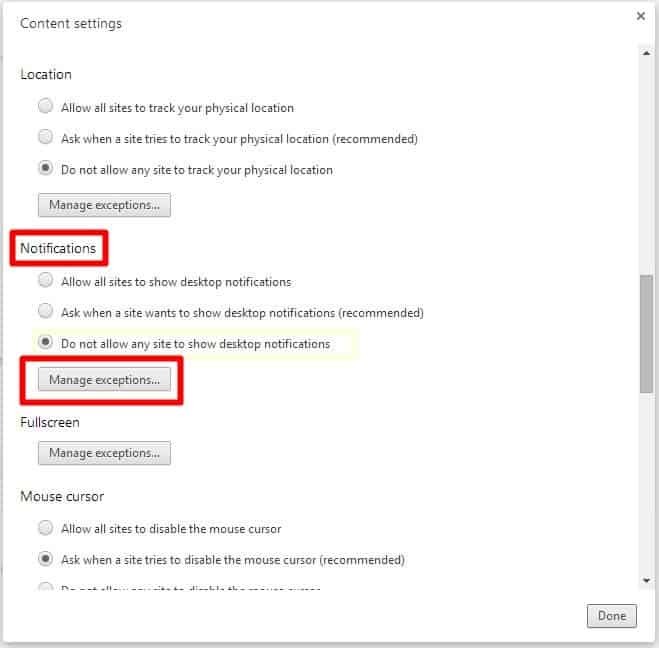 People might allow the desktop notifications and want to disable the notifications of a particular site. How? Don’t worry, you can easily switch off those notifications in a few easy steps. 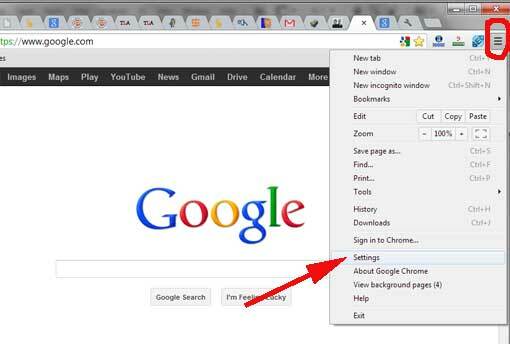 Click the Menu Button (three dots button) in Chrome. Go to “Settings“. 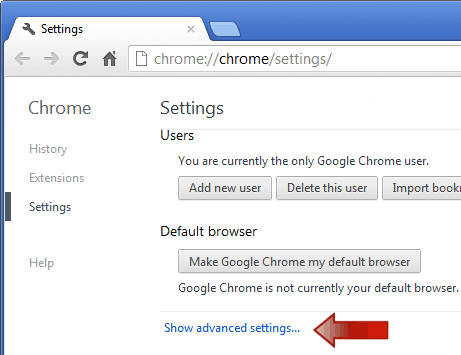 Scroll down to the bottom of the page and click “Show advanced settings“. 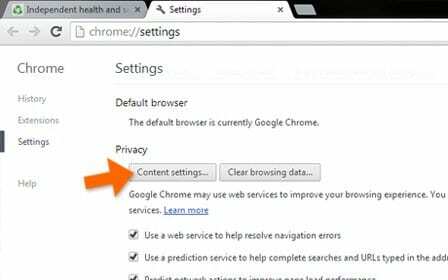 Under “Privacy section“, click the “Content Settings” button. You will get a pop-up window, go to “Notifications“ and click the “Manage Exceptions” button. You should see a list of all the sites and web app notifications that are either blocked or allowed. Scroll through and find what you are looking for (or) use the “Ctrl + F” (cmd + F on Mac) shortcut to find the specific text. 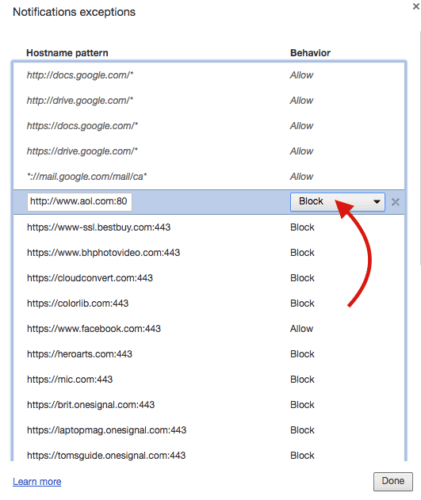 Once found the web app or website you want to disable, click on the “Allow” button to the right of its name to pull up a drop-down menu and select “Block“. You can also add sites by entering the website at the bottom of the list and selecting Block from the drop-down menu. If you don’t want to receive any notifications from any web apps at all, just make sure that “Do not allow any sites to show notifications“ is checked. If you’d prefer to manage these notifications on a case-by-case basis, leave it on the default “Ask when a site wants to show notifications“.